Ready Decks® uses only the best materials. Our decks are constructed using premium-grade, treated lumber. Decking boards are hand-selected at the saw mill, guaranteeing freedom from knots and heart-of-pine boards. But quality doesn’t stop there. We use special screws designed specifically for use in treated wood to provide the best fastening system for your new Ready Deck. By combining the high quality materials we use and our innovative, patent-pending building system, Ready Decks® offers you a tremendous value for your investment. That value is best realized in one way: longevity. 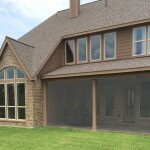 Our decks look better and last longer than virtually any other outdoor product. 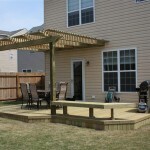 You and your family will enjoy your new Ready Deck for many years to come. In business, there is only one way to demonstrate integrity: stand behind your product. Every deck we build is backed by a lifetime limited warranty. 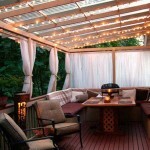 So you can be secure in the knowledge that your Ready Deck has been built to last. Ready Decks® products carry a one-year, limited warranty against defects in installation and workmanship from the date of installation. If left unprotected, all wood products will change color over time, as they weather due to exposure to sunlight and other elements. Also, as wood dries, it will shrink and sometimes warp, cup, or change shape. This is a normal characteristic of wood. 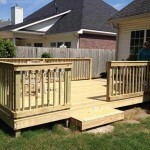 However, if a defect arises as a result of poor workmanship, Ready Decks® will replace the materials at no cost to you.